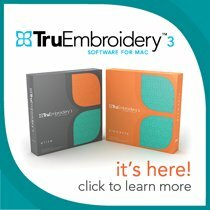 Purchase TruEmbroidery™ 3 elements and get 90-day trial membership toVantage™ Embroidery Software Support. All machines come with know how classes. These classes are designed to help you learn your machine. You are welcome to attend the know how classes as many times as you need.